Join now and start on your own and then have FREE access to the next LIVE ROUND with Deb starting May 13, 2019. ARE YOU READY FOR A CLASSROOM OF ATTENTIVE AND ENGAGED KIDS, WHO CAN’T WAIT TO START LEARNING? If you’re a primary or early childhood teacher at a busy school, you know what it’s like to struggle with behaviour issues in the classroom. Even the slightest change in routine can set off a chain reaction of emotional meltdowns, poor choices or poor behaviour. Research shows that making small but specific changes to the classroom environment can advance learning up to nine months (Clever Classrooms research). Your days and weeks of teaching can have more flow. You’ll get step-by-step support and easy to follow resources that will take you from overwhelm to ease – and you’ll even get CPD points! 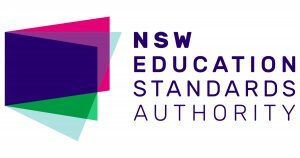 Completing the 20 Day Classroom Detox will contribute 10 hours of NESA Registered PD addressing criteria 1.1.2 (Physical, social and intellectual development and characteristics of students) and 3.4.2 (select and use resources) from the Australian Standards for Teachers towards maintaining Proficient Teacher Accreditation in Australia.